St. John's Prep junior midfielder Aidan Robinson (17) slides in to punch the ball away from an Acton-Boxborough player during the D1 North Final at Manning Field in Lynn. 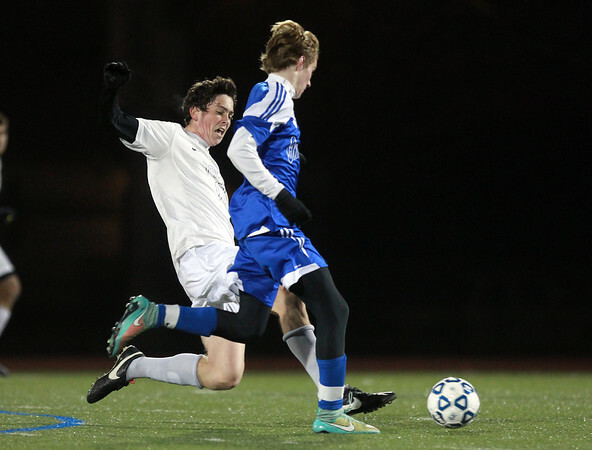 The Eagles advanced 1-0 on penalty kicks to advance to the D1 State semifinal. DAVID LE/Staff photo. 11/15/14.